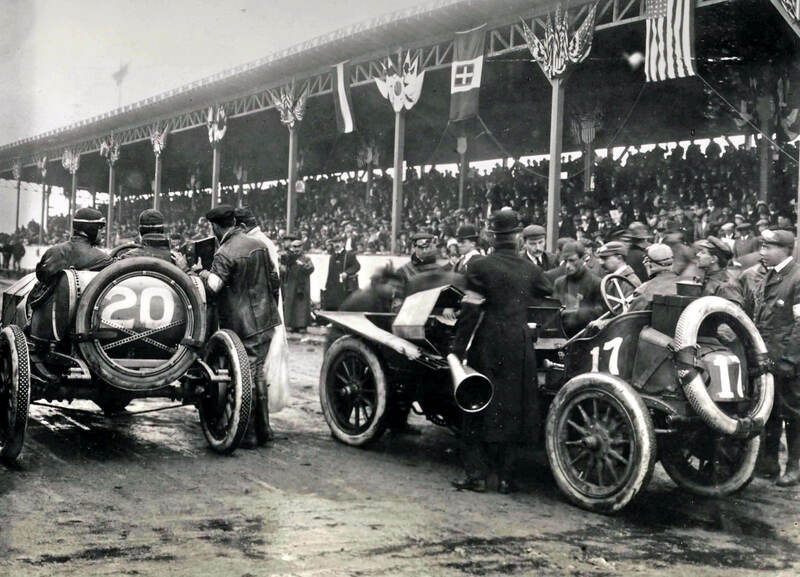 The #15 Matheson driven by Louis Chevrolet, "Old 16" Locomobile driven by George Robertson and the #17 Renault driven by Lewis Strang. The Matheson and Renault are being cranked. 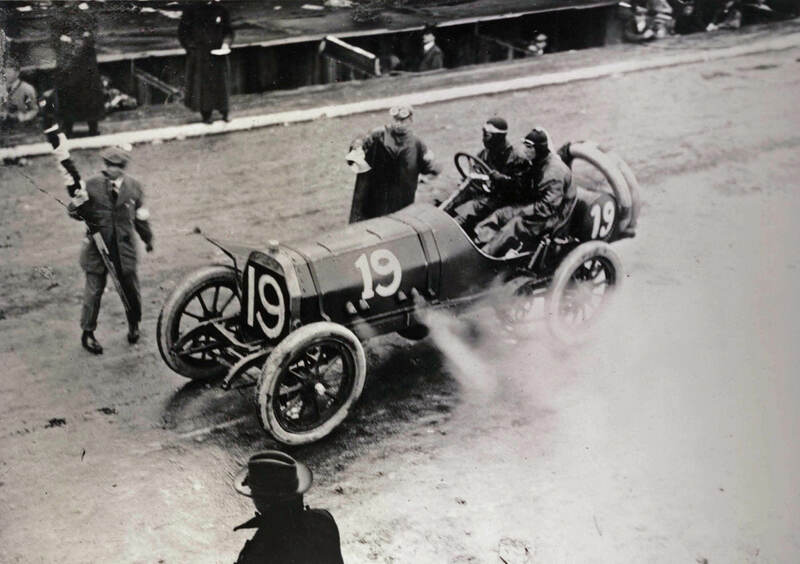 The best photo that I have ever seen of the #19 Thomas. The #20 Knox driven by William Bourque next to the #17 Renault which was suffering from a faulty magneto. 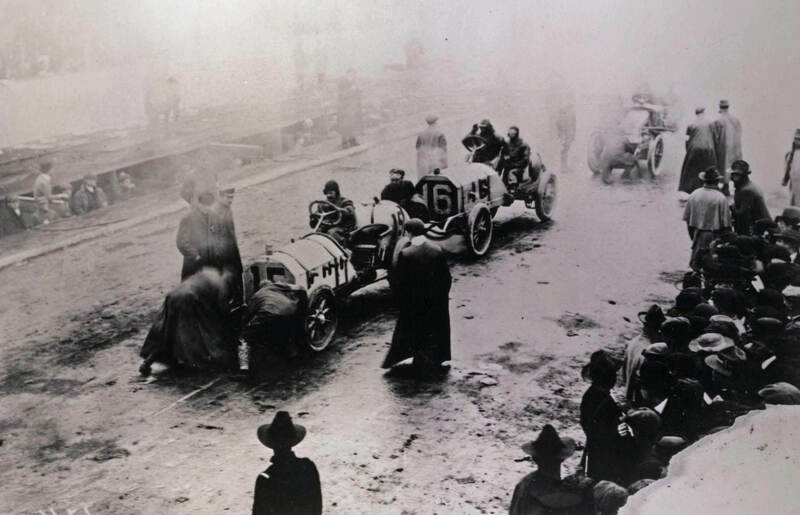 Referee William K. Vanderbilt Jr. can be seen in front of the Renault wearing goggles offering assistance. Over 5,000 fans were watching in the Hempstead Plains grandstand. Yes they’re amazing pictures,thanks for providing them for us. Looks like inclement weather for the race.